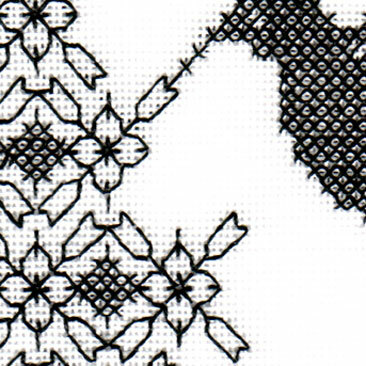 Downloadable PDF Pattern for the Blackwork Hummingbird Haven. Please see the following listing if you are interested in a purchasing a Kit or Hardcopy of the pattern. The Cross-Stitch Meets Blackwork designs are great transition designs for those new to blackwork and who have previously done cross-stitch, although no experience of cross-stitch or counted thread is necessary. 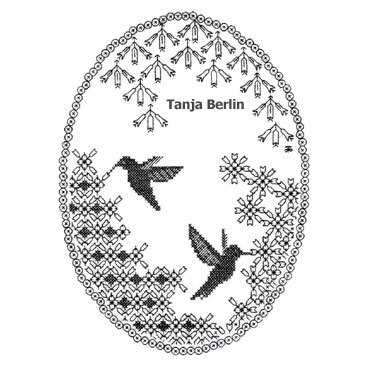 The Hummingbird haven design is good for beginners and is worked from a chart and has a detailed instruction booklet which has step-by-step numbered diagrams and instructions to guide you through the blackwork patterns. 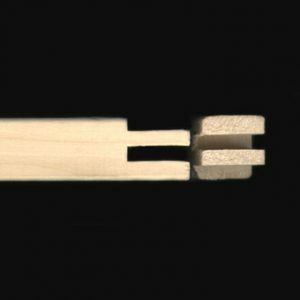 I recommend the inch stretcher bar frame to work my hand embroidery kit in because the frame is quick to assemble and the fabric stays taught in the frame. The frame comes with brass thumb tacks and a tack remover. 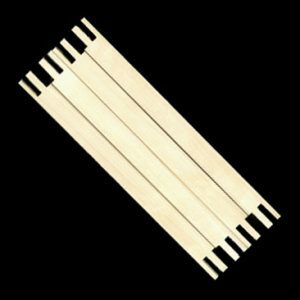 The frame can be used over and over so if you purchase more than one of my kits you can use the same frame. 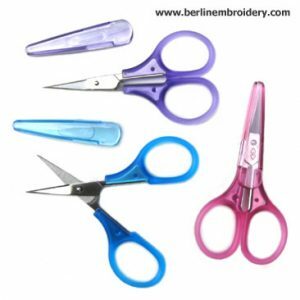 These excellent, inexpensive little embroidery scissors have sharp blades and precision points ideal for any types of fine hand embroidery and I highly recommend these scissors for metal thread embroidery. 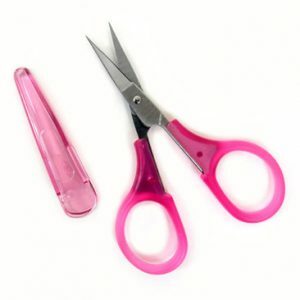 The scissors come with a plastic clip on sheaf to protect the 1 inch blades. My blackwork kits come with two tapestry needles. If you choose a kit with 14 and 16 count fabric you will be provided with one size 24 (largest) and one size 26. If you choose a kit with 28 count or 32 count fabric you will be provided with one size 26 and one size 28 (smallest). 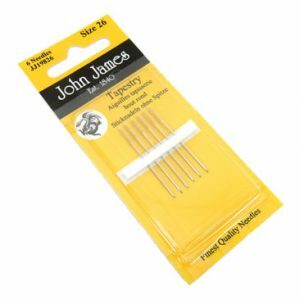 You have the option to purchase more needles in case you loose a needle. 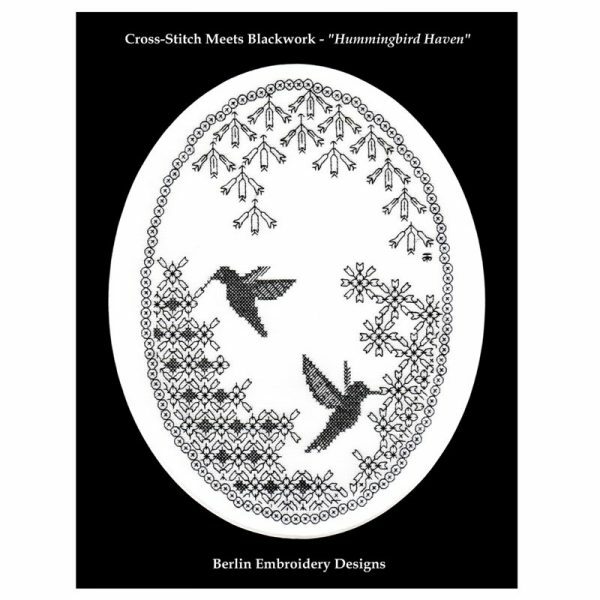 The Hummingbird haven is good for beginners and is worked from a chart and has a detailed instruction booklet which has step-by-step numbered diagrams and instructions to guide you through the blackwork patterns. This is a fun design to pass away some time. The design looks great in colour and variegated embroidery thread if you are not partial to black. Approximately 8 meters of a 6 strand embroidery thread is required for the embroidery. You can work the design on any size fabric. The original embroidery was worked on 32 count fabric over two threads of the fabric but you can work the embroidery on and a bigger count such as 14 or 16 count fabric and working the stitches over one thread of the fabric instead of two.